ignored in verification of a safety integrity level. of semi-markov modeling the systems’ operation processes and multistate modeling the systems’ reliability. Rahim Yousif, Kenett Ron S.
Understanding the safety level of processes in any industry or any sector requires a situational analysis of current and future activities. This analysis includes identifying the hazards and sequence of events that can harm and lead to specific losses. Safety and risk levels are closely related to accident statistics. Accident/incident statistics and reporting systems enables enterprises and companies to identify risks, implement corrective measures’ and comply with the national requirements and standards on health safety and environment. A water distribution system (WDS) ought to be high reliable continuous operating system. Failure factors in WDS should be identified and prioritised, for example, the causing factors in the most frequent failures in water-pipe network. In this paper, the failure risk analysis of the WDS is presented, and accordingly, a new method consisting the failures index (FI) and the evaluation of risk of failure within the relevant area, based on the assumed categories (tolerable, controlled and unacceptable risk). It is expecting that the methodology for the WDS performance risk analysis would provide the city leadership for decision making support. Water supply network is an essential element of urban water supply systems. The operation of a water supply system is inseparably connected with a risk of failure. The main problem in the risk of failure analysis of water mains is the uncertainty of the information collected on the description of failure. In order to consider the uncertainty of information, the theory of fuzzy sets was used. The fuzzification of frequency, severity and the consequences of the incident scenario is basic input for fuzzy risk analysis. The presented model is part of a complex model of risk management of failures in water mains and can be used in practice in system operator’s decision-making process. An adaptation of the fuzzy set theory to analyse risk of failure of water mains is not a standard approach. 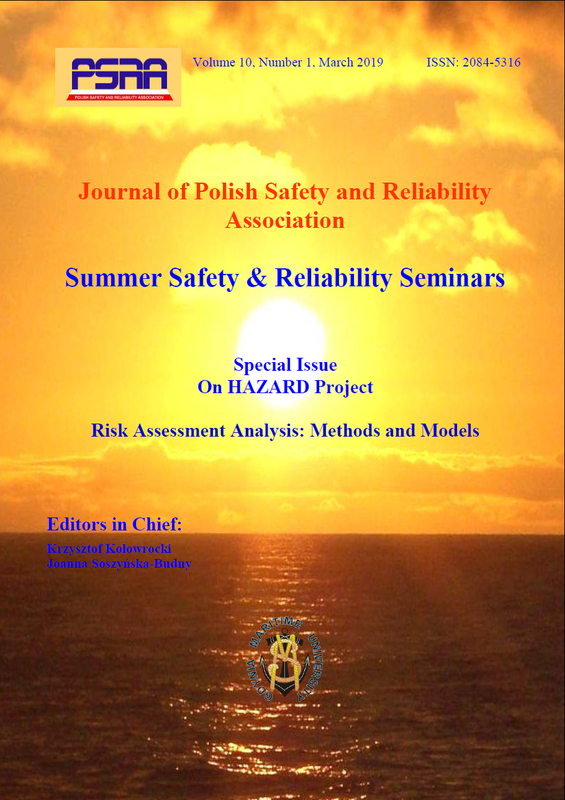 An effect of the analysis of different sources of risk can be used for the design of a more reliable safety system assurance. In this paper, the load flow problem in a power transmission network is studied in presence of load and power generation uncertainties and transmission lines failures. Network performance indicators are computed and the importance of the different components is evaluated by a power flow betwenness centrality measure.